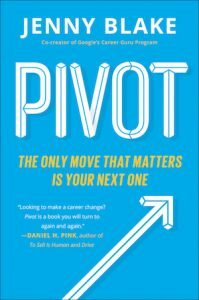 Learn how Jenny Blake came to write her second book Pivot, The Only Move That Matters is Your Next One, with zero dollars in her bank account and how she turned a potential crisis into a pivot. Through self-discovery and research, she came to a conclusion that a “Pivot” is both gender and judgment neutral. She shares with us how she does not view a Pivot as a plan B, rather she sees pivoting as the new normal in today’s world. In this interview, Jenny reminds us to be compassionate as we pivot. She shares tips on how to be resilient as we go through times of change and teaches us how to stay empowered by remaining in the moment versus looking too far into the future. The latter which can lead to a disempowered mindset. Jenny shares her morning rituals and how she protects her mornings so that she can create a powerful day. Her wind up rituals can last up to three hours, and she creates rituals that empower her mind, her life, and fuel her amazing work. You may be surprised on when she opens her first e-mail and when she reads her last message of the day. A great habit for all of us to learn. 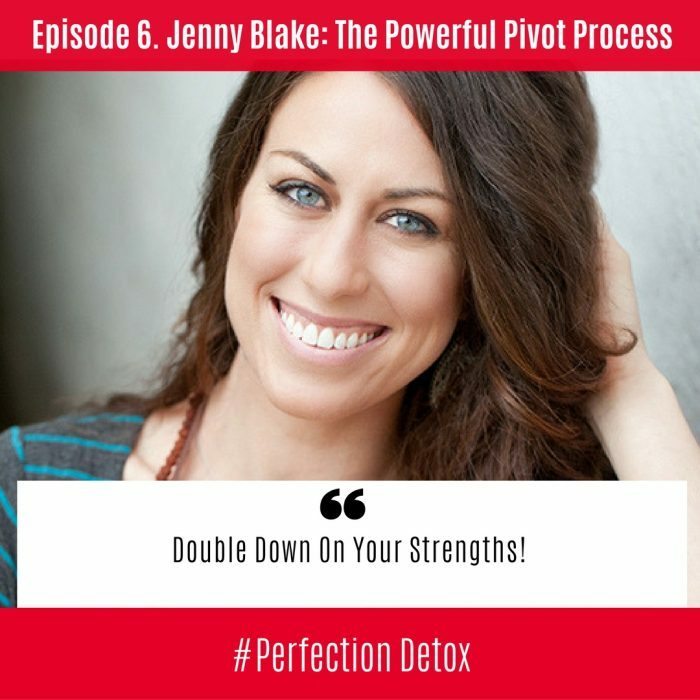 Jenny Blake is an author, career and business strategist and international speaker who helps people organize their brain, move beyond burnout, and build sustainable, dynamic careers they love. She is the author of PIVOT: The Only Move That Matters is Your Next One (Portfolio/Penguin Random House, September 2016), and Life After College (Running Press, 2011), which is based on her blog of the same name. With two years at a technology start-up as the first employee, five years at Google on the Training and Career Development teams, and over five years of running her own business, Jenny combines her love of technology with her superpower of simplifying complexity to help clients pivot their career or business. Jenny created her first website, Life After College, in 2005, then released a book of the same name in 2011 that was featured in Target’s 2012 graduation display. She has been featured on Forbes.com, US News & World Report, Real Simple magazine, and has spoken at major universities and top companies such as Columbia, TEDxCMU, Yale, Parsons, MIT, UCLA, Google, Intuit, KPMG and Best Buy. Today you can find her at JennyBlake.me, where she explores systems at the intersection of mind, body and business. Jenny is a yoga fanatic and avid book worm. Dogs, dancing, gadgets, writing, traveling, and long meals with friends all make her pretty happy too. Jenny is based in New York City, where she imagines she’s starring in a movie whenever she walks through its crowded streets.